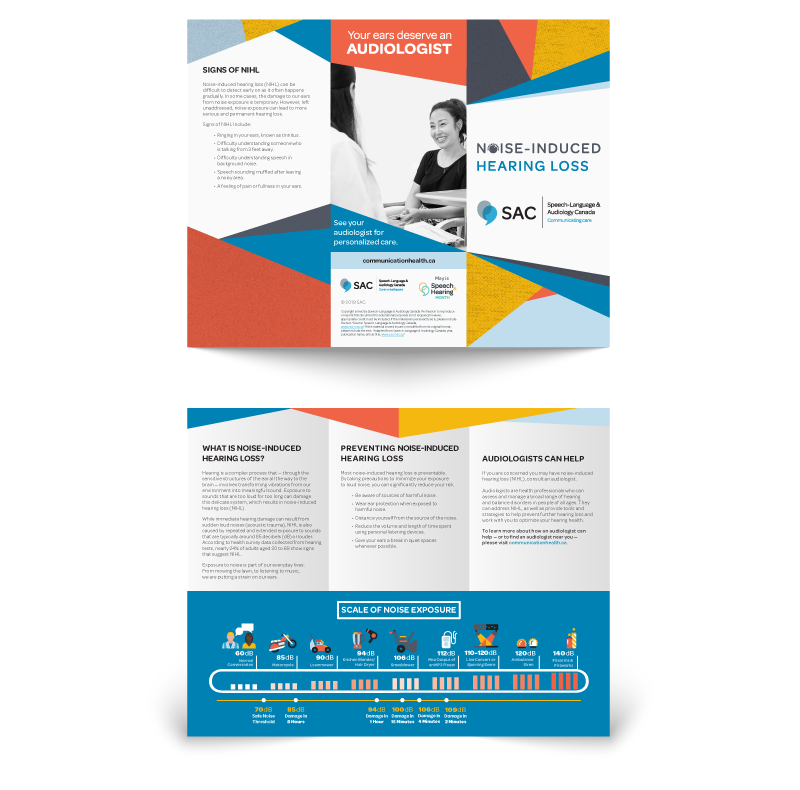 Each year, SAC produces new Speech and Hearing Month materials to promote communication health and raise public awareness about communication disorders. 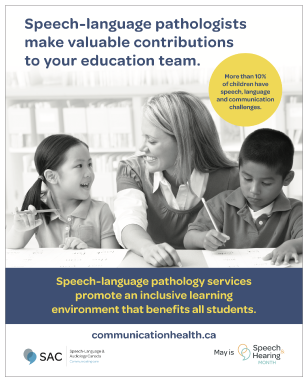 For 2018, we’ve created a new poster about the role of speech-language pathologists in schools, as well as a brochure about noise-induced hearing loss. We encourage communication health professionals and members of the public to download, print, distribute and share all of our materials to spread the word about the importance of communication health.